Kissimmee, Fl is the ideal vacation retreat destination with a great selection of rental villas, condo rentals and vacation homes. Located just south of Orlando you will be able to enjoy the ultimate vacation experience while staying in your Kissimmee Vacation Rental. This rental boasts: 2 bedrooms, 2 baths, is a Condo / Townhouse located Near Lake! This rental boasts: 3 bedrooms, 2 baths, is a Condo / Townhouse located Near Lake! You may want to check out some of the cultural attractions in Kissimmee which include theatre, art and concerts taking place at the Osceola Center. Also popular is the local opera, ballet and symphony performances. You can take part in dinner shows from Medieval Times, Arabian Nights to Capone's. Kissimmee is also a great place to enjoy live rodeos on Friday Nights, parasailing, boating, water skiing and sports entertainment. You can shop at the malls, galleries, outlet malls and variety of specialty shops. Take a night away from cooking and enjoy a quality meal at one of the amazing restaurants. As you can see a vacation in Kissimmee will provide you memories of a lifetime. You can enjoy the amenities of your own private home, yet reap all the benefits of an action packed vacation. 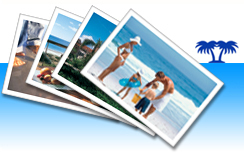 You can book your Kissimmee Vacation Rental right here at www.ivacationonline.com direct by owner in just a matter of minutes using ourvacation rental management software.! !